In this video, you’ll find a drag race battle between a 2015 Dodge Challenger Hellcat and a 1977 Trans Am. The 2015 Dodge Challenger Hellcat is powered by a supercharged Hemi V8 engine which can generate 600 plus horsepower while the 1977 Pontiac Trans Am is powered by a 455 engine. 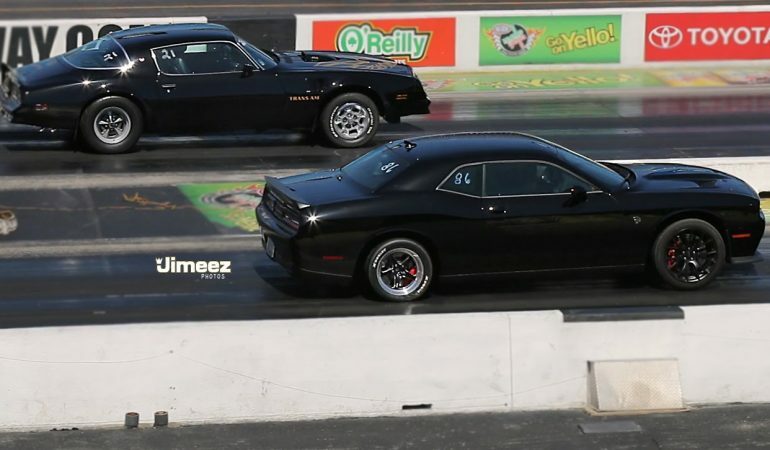 Although based on their figures, the drag race result is somehow predictable but both delivered a satisfying performance with the 2015 Dodge Challenger Hellcat running 10.87@127.79mph while 1977 Trans Am ran behind at 13.63@106.85mph. 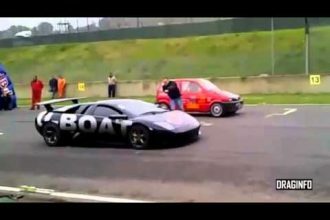 Check both cars in action below!